Arnica (Arnica Montana) other names: Arnica cordifolia, Arnica des Montagnes, Arnica Flos, Arnica Flower, Arnica fulgens, Arnica latifolia, Arnica montana, Arnica sororia, Arnikabluten, Bergwohlverieih, Doronic d’Allemagne, Fleurs d'Arnica, Herbe aux Chutes, Herbe aux Prêcheurs, Kraftwurz, Leopard's Bane, Mountain Tobacco, Plantin des Alpes, Quinquina des Pauvres, Souci des Alpes, Tabac des Savoyards, Tabac des Vosges, Wolf's Bane, Wundkraut. Arnica is the name for a clan of flowering plants more famous for their use in natural medicines than for their natural beauty. A member of the daisy family, Arnica montana may be the most common, but there are at least eight varieties of Arnica alpina, not to mention other variants. The herb known as the arnica is characterized by a creeping rhizome; arnica is an aromatic and perennial plant, which gives out a basal rosette of four to eight downy leaves which reach a length of about one and half to two and three quarters inches long during the first year of growth. The stem of the herb which bears the flowers is normally not branched and slightly hairy in appearance, this flowering branch tends to reach from twelve to twenty four inches in height, and is noticeable by bearing only one to two pairs of leaves on opposite sides of the branch. 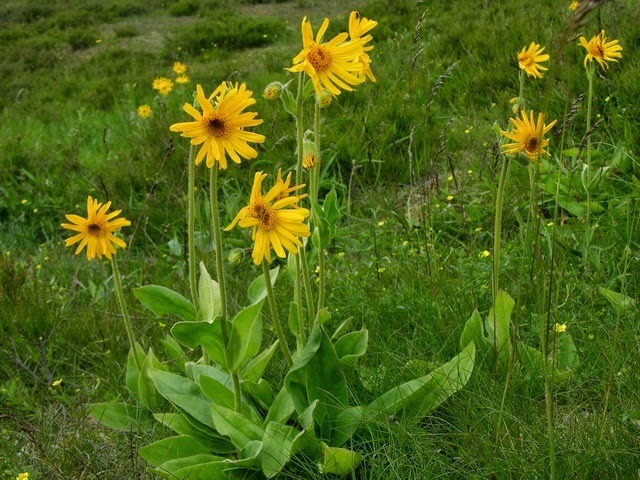 Arnica bears golden yellow flowers, some of these have a daisy like appearance and structure, and the flowers tend to bloom during the autumn and may start appearing by mid-summer. 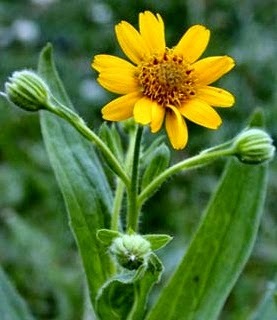 Arnica is a graceful woodland plant in the same family as the sunflower . Its yellow flowers are collected at summer’s end and dried for medicinal use. The main beneficial effects of the arnica as a topical remedy in ointment and compress form lies in its ability to speed the healing of tissues, it also tends to improve the blood supply and rate of circulation in the affected areas of the body, the herbal ointment and the herbal compress made from the arnica is especially extremely effective in the treatment of various bruises and sprains, as well as in the treatment of muscle pain - the herb speeds the healing of tissues in all cases and recovery is rapidly achieved. If eaten, the actual herb is toxic and can be fatal. However, some oral supplements contain highly diluted arnica. These are considered homeopathic treatments , it is used as an internal herbal remedy primarily for the treatment of shock and trauma, for the treatment of physical injuries, and it also finds use in the treatment of various types of physical sports injuries and the painful symptoms involved with such conditions . These low-dose arnica tablets are safe to use and have been studied for muscle pain, diabetic eye damage, and swelling and pain after surgery. The internal use of arnica is not considered safe, as the herb can be quite toxic even at relatively low dosage - for this reason, the use of the herbal remedies made from the arnica in internal medications is limited nowadays. The treatment of leg ulcers in diabetics is an area where preference is given to the topical remedies made from the arnica herb. As an herbal medicine, the uses of the arnica are many and it is considered to be one of the most wonderful topical herbal remedies around. For example, the herbal remedy made from the arnica can increase the resistance of the body to the onset of infection, arnica is particularly helpful against infections such as those caused by listeria and salmonella bacteria, the herbal remedies made from the arnica also increases the rate of healing in the body following a surgical procedure, it is also useful and effective against the painful sensations encountered during dental extractions and it is also extensively used to treat physical injuries of all kinds in different patients around the world. The circulation in the body is also stimulated by the arnica when it is used as an herbal decoction or in tincture form; in this case the value of the arnica is particularly high during treatments for conditions such as angina and in the treatment of a physically weak or failing heart in patients with cardiac problems. As a herbal medication, the calming effects of the arnica are extremely helpful in treating children, especially those injured due to falling accidents, those suffering from pain due to bumping their heads accidentally, and in the treatment of those children who have knocked themselves out during some activity or another. The herbal remedy made from the arnica also proves to be useful whenever it is applied as a topical remedy over any unbroken patch of skin, in this role the herbal remedy can greatly ease the extreme pain, the remedies made from the arnica are also used to bring relief from the pain in rheumatic joints, and they are also used in the topical treatment of painful and swollen feet in different patients. Arnica is also normally diluted on the basis of one part in ten with the essence of the calendula herb, in this form the remedy can be utilized in the treatment of various skin rashes and in the treatment of other known inflammatory skin problems in different patients. 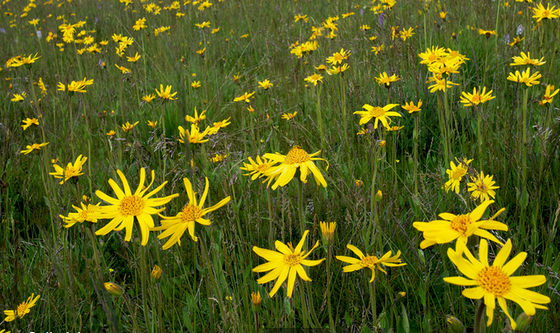 Arnica is also an ingredient in hair tonics, dandruff treatments, perfumes, and cosmetics. When swallowed, pure arnica can cause rapid heartbeat, gastrointestinal problems, kidney and liver damage, coma, and death. Don’t use undiluted arnica topically on broken or sensitive skin. Pure arnica herb is poisonous. Homeopathic doses are generally considered safe to use. Arnica creams or gels can cause burning and skin irritation. Arnica can trigger allergic reactions in some people, including those who have allergies to plants like ragweed, daisies, marigolds, or chrysanthemums. If you take any medicines regularly, discuss them with your doctor before you start using arnica supplements.